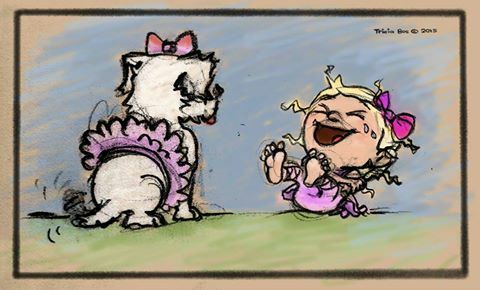 She dressed Snowie in a tutu…poor doggie. And found the result hilarious–in a tears draining from eyes, giggle-fit kind of way. Our hope today…that you would see the world through the eyes of a child and find happiness and laughter in your day.